much criticism, but he was prepared to defend his proceedings. He wrote: " Though I am publishing a work of Chinese architecture, let it not be suspected that my intention is to promote a taste so much inferior to the Antique and so very unfit for our climate ; but a particular so interesting as the architecture of one of the most extraordinary nations in the universe cannot be a matter of indifference to the true lover of the arts . . ." Again, he says : " I cannot conclude without observing that several of my good friends have endeavoured to dissuade me from publishing this work, through a persuasion that it would hurt my reputation as an architect; and I pay so much deference to their opinion that I certainly should have desisted had it not been too far advanced before I knew their sentiments ; yet I cannot conceive why it should be criminal in a traveller to give an account of what he has seen worthy of notice in China, any more than in Italy, France, or any other country; nor do I think it possible that any man should be so void of reason as to infer that an architect is ignorant in his profession merely from his having published designs of Chinese buildings." Notwithstanding these protestations, and in face of all adverse criticism, he coquetted with his pagodas, dragons, and bells, and endeavoured to bring them into harmony with our Western requirements. All the while he kept the originals steadfastly in view. 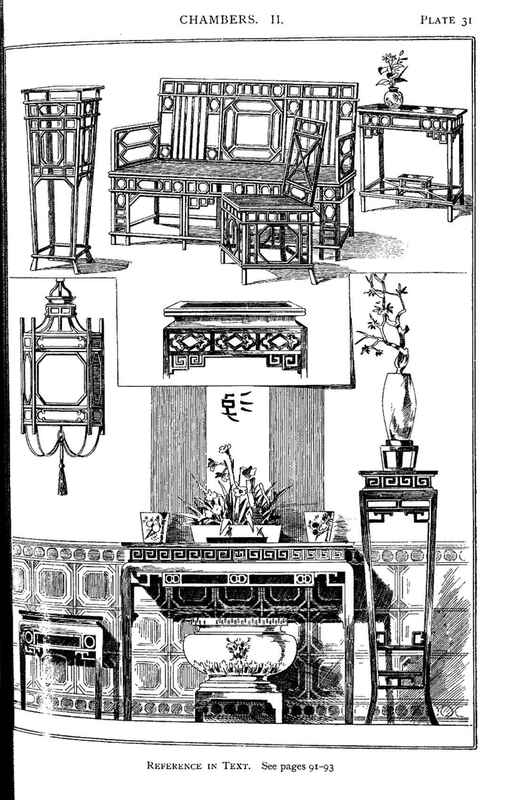 In his description of the interior of a Chinese palace, he tells us: " The movables of the saloon consist of chairs, stools, and tables, made sometimes of rosewood, ebony, or lacquered work, and sometimes in bamboo only, which is cheap, and, nevertheless, very neat. 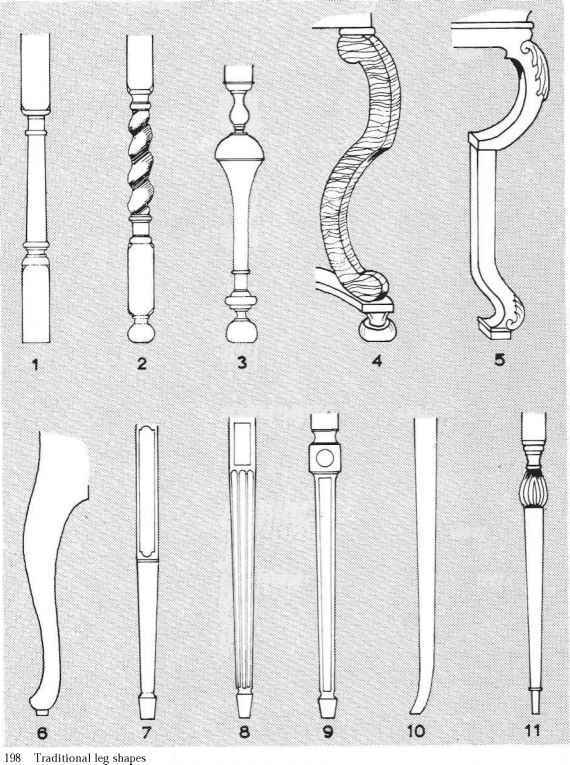 When the movables are of wood, the seats of the stools are often of marble or porcelain, which, though hard to sit on, are far from being unpleasant in a climate where the summer heats are excessive."